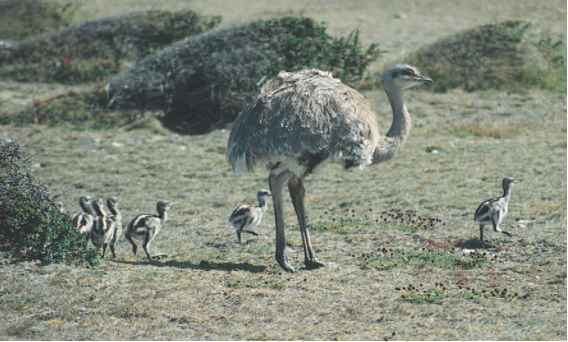 About one-third of the Pelecaniformes birds are under some kind of threat. Four species are listed as Endangered, facing a very high risk of extinction, or Critically Endangered, facing an extremely high risk of extinction. The problems the birds face include polluted water and loss of habitat for nesting. People have over-fished some parts of the ocean, leaving too few fish for the birds. Some people kill the birds that eat the fish they want for themselves. Some birds have naturally small populations, such as those that live on a few small islands and nowhere else. These birds can be wiped out by animals that are brought to the islands. For example, rabbits brought to some islands eat the plants that the birds need to shade their nests. That means fewer birds are able to raise young. But there is good news, too. Birds in this group are being helped by people all over the world. In North America, the brown pelican was listed as endangered because of poisonous chemicals, such as dichlorodiphenyltrichloroethane (DDT) that got into their water. When people realized they were harming the birds, the poisons were outlawed. Now the pelicans have made a good comeback and are no longer listed as endangered in some parts of the United States.